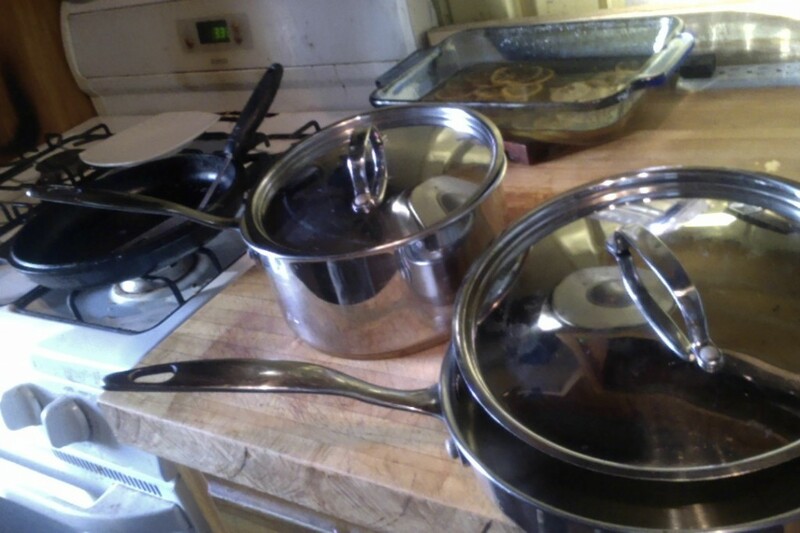 Customer Zach is curious what line his Revere Ware might be part of, see pictures below. Hello! I just picked up a beautiful RW 3qt copper-bottom saucepan and a matching 10″ skillet (with vertical sidewalls) at Goodwill. I love them, but am having trouble determining the line with which they were produced. They are similar to the Chef Request line and the Chef Preference line’s descriptions on your “Revere Ware History” site, but I don’t quite think that’s what they are because that line was made in Indonesia and these are made in China. 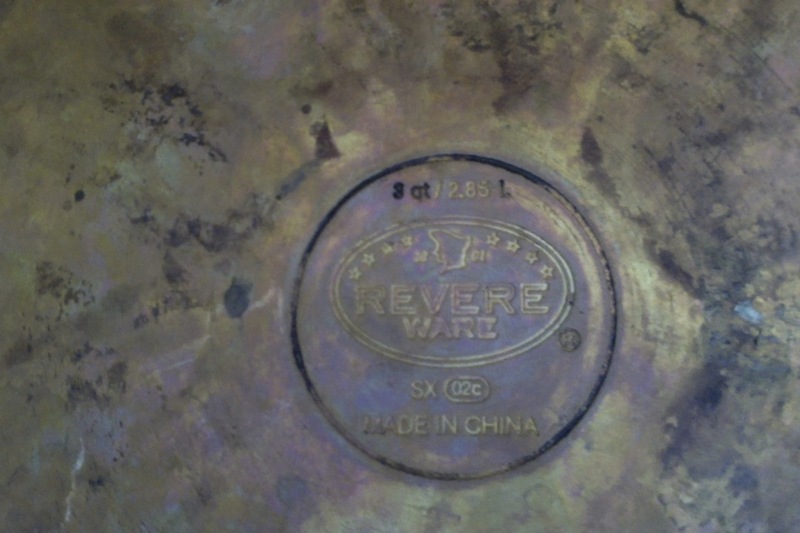 Is anyone able to identify these pieces as part of a particular Revere Ware line? needs both handles. Do you know where I can find replacements? Unfortunately Revere did make some cookware that does not have replaceable handles – the Bakelite part is formed directly on the metal. There is no way to replace these unless you are willing to undergo some serious modification. 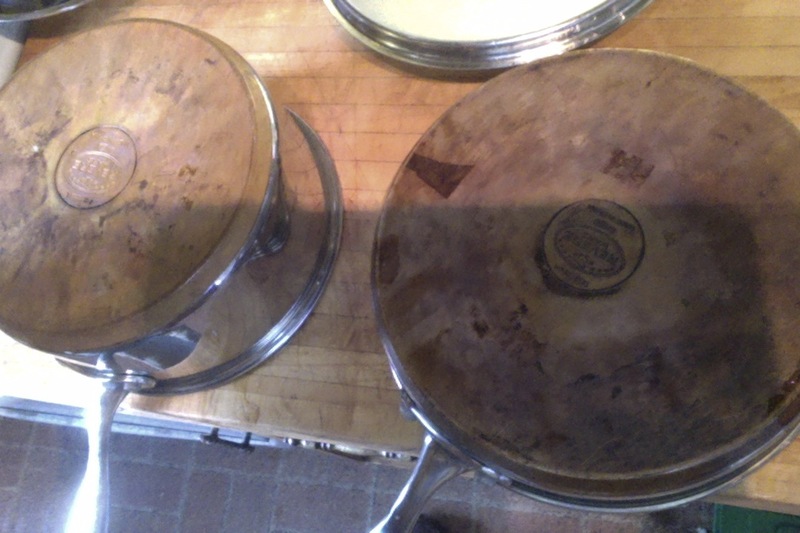 I have a set of those pans and have looked for the proper name for them with no luck. All I remember was that they were on sale at WalMart and since I try not to shop there, I looked for the line elsewhere with no luck. I do not know if they were a WalMart exclusive. I just found the 12 inch skillet this week! It’s really awesome. It’s amazing that the bottom is a solid copper disk instead of just a copper coating, I’ve never seen that before, that’s why I picked it up. Anyone have an idea what these are worth?